We would like to introduce you to the new VillageCraft site! It’s fancy and new so look around and tell us what you think. Also, feel free to leave any feedback you may have by commenting on our forums or liking the page, as we’d love to know what you think of the new look! Along with the change in style, we can happily say we are are running 1.9 on both of our servers now. 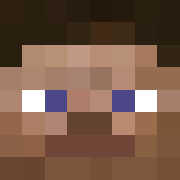 So feel free to check out the new features that the newest version of Minecraft brings to the game. With the recent changes, lets also talk about what you can expect in the future. With the near completion of Qualia (new) we hope to have a more fleshed out market for players to explore and use to obtain all their building needs. Along with the market expansion, we plan to open up a player market area near Qualia so player may sell their own goods and earn some extra money. We know the moon was a bit lack luster, so we plan to revamp the idea and present it again when the time is right. VillageCraft Games is something we hope to launch sometime later in the future. It will include the games you, the player, are interested in. So if you have any thoughts for what you might want to see, let us know on the forums so we have a sense of what you may want see. So with the new change and prospects for the future, we hope this provides a more easily navigable site for you to explore. In the future do look out for event post, future announcements, and a wiki for all the information you will need to get started.